i have another new Hard Candy polish today that a company rep was nice enough to send me for review! 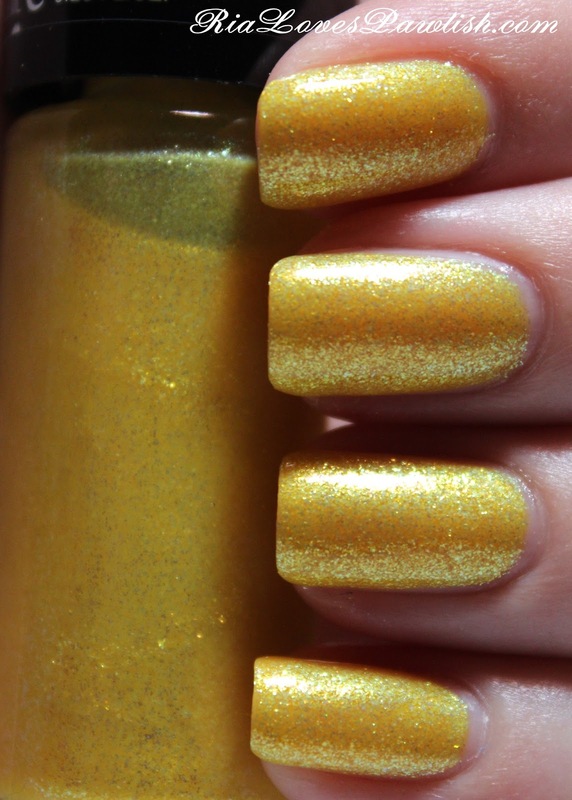 this one is Shot Of Lemon from their Itsy Glitzy collection, a beautiful shimmering, sheer yellow. it is quite sheer, so it's one i would gravitate towards using as a glaze rather than on its own, but i did get a fair amount of coverage in three coats. it is chock full of shimmer and it is always gleaming, even indoors! a coat of topcoat helps to make the polish even more shiny. three coats Shot Of Lemon, one coat Seche Vite. there is a bit more visible nail line in real life than you can see in the photos! here it is in the shade... i love how it looks!